Writing the tittle for this post, I realized that I have been hosting this party for over seven months. Amazing! Time goes by so fast! 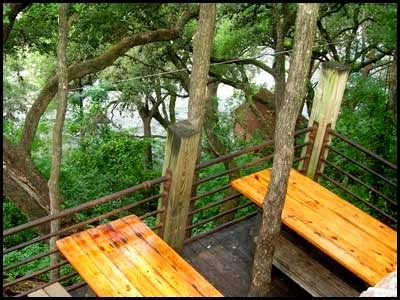 We had planned to go spend the day on Saturday at a little town we love about 45 minutes from us, right by the Guadalupe River, and do a little shopping and have a nice lunch overlooking the river. But we woke up to this. No complains here, we sure need the rain. And although it cleared up on and off through out the day, we didn't want to chance it. So we run some errands and in the afternoon, my daughter and I went shopping to Hancock and found some gorgeous Christmas fabric. I will share it with you all soon. I am so excited to start working on it! 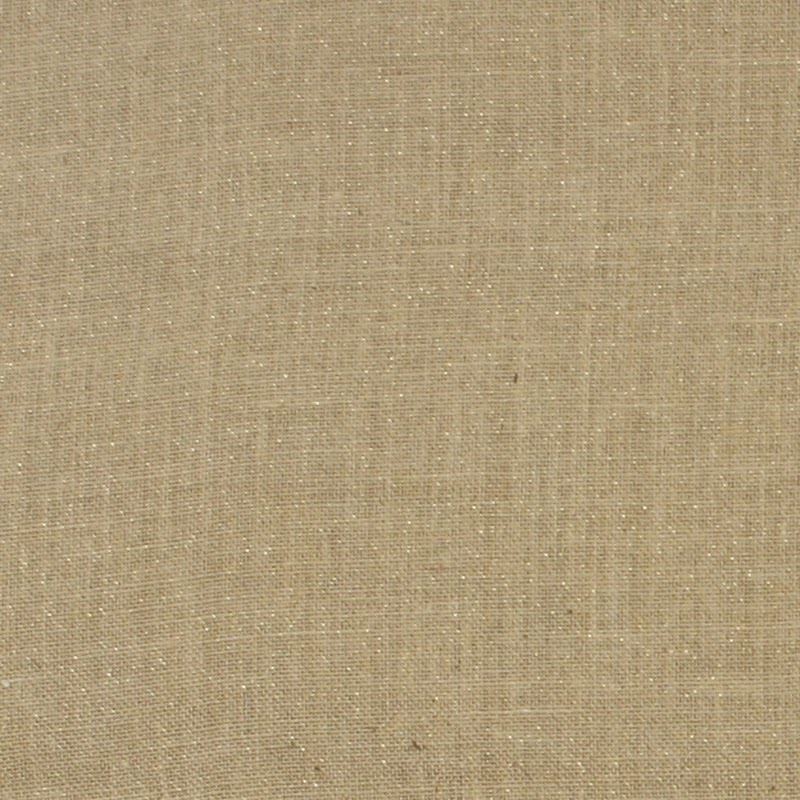 BTW, have you seen the new burlap with gold glitter for the holidays? So pretty! Thank you so much to all who entered! I wish I could send a gift to each one of you! I've never commented before, but I check it out every time you have a new post. Happy Anniversary and many more years of blogging. Thanks for the giveaway! I will email you today so you can give me your address and I can get these items out to you right away. I hope you enjoy these gifts for a long time to come. Thank you all for making my blog anniversary a special time for me and also for all your support all year long. 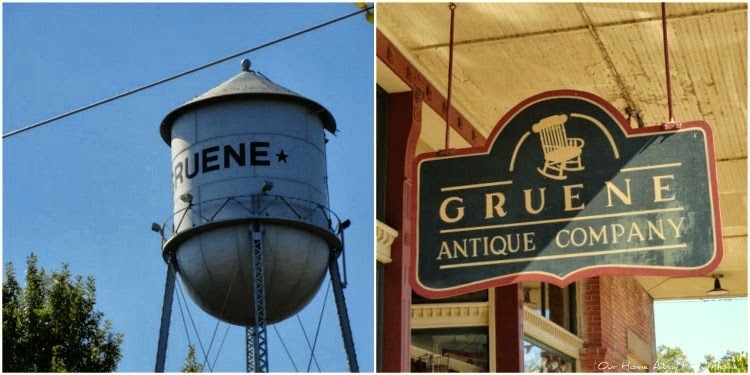 This blog would be nothing without you! It is that time again to highlight the most viewed links from this week's party. We had some beautiful entries and although I was late, I finally had a chance to visit all of your blogs. 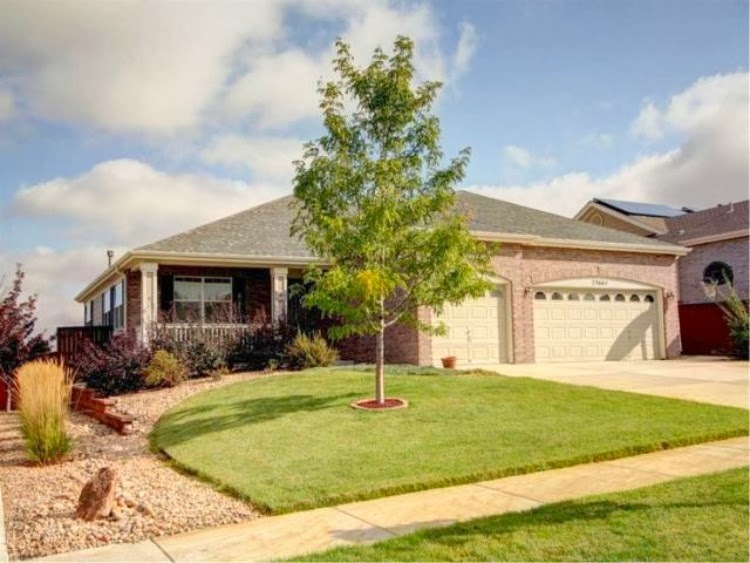 The most viewed link this week was Kathe's from Kathe with an E. She gave us a tour of her beautiful new home. Congratulations to you and your family! 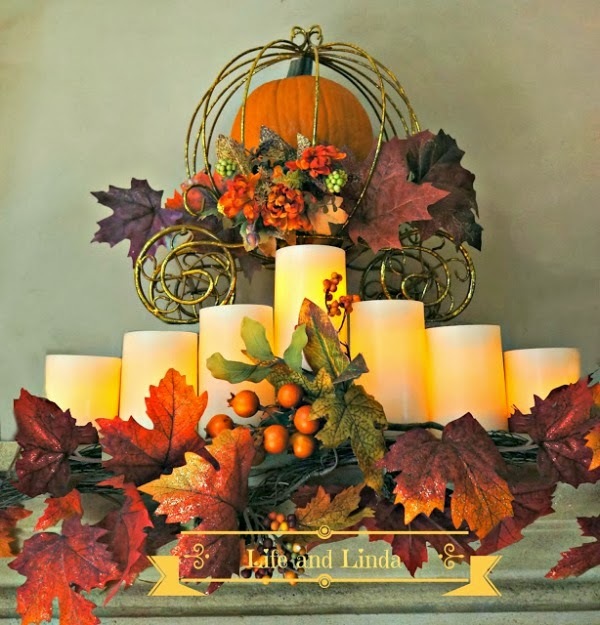 Linda from Life and Linda shared with us her gorgeous mantle decorated for Fall. 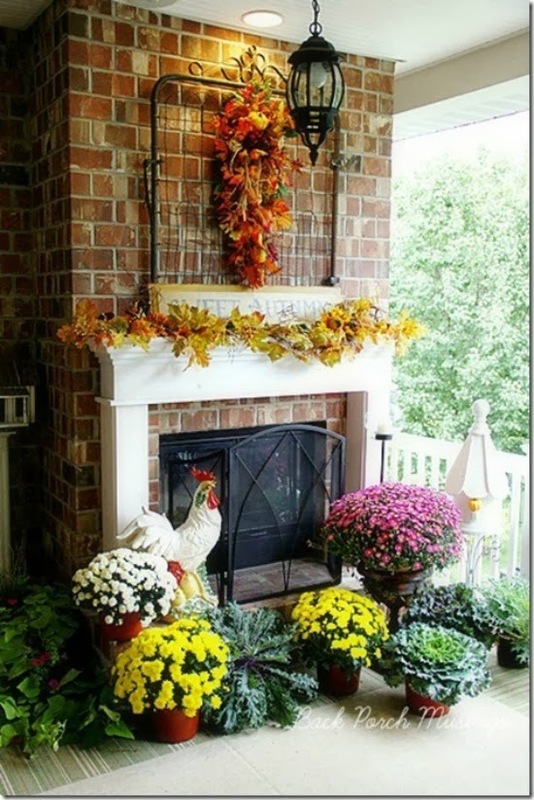 Pat from Back Porch Musings did an spectacular job decorating her outdoor fireplace and mantle for Fall. 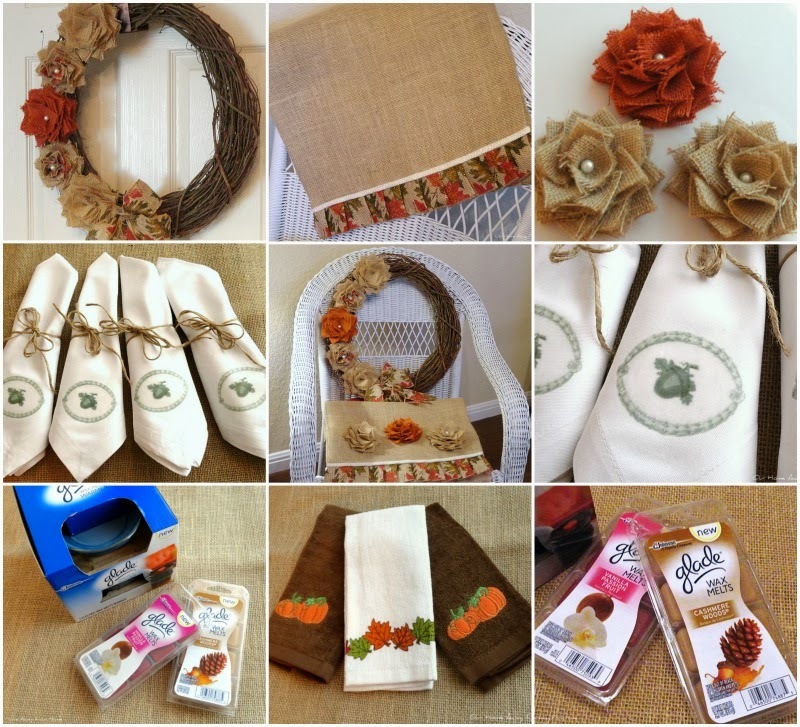 The Ruffled Stitch made such a pretty Fall wreath. 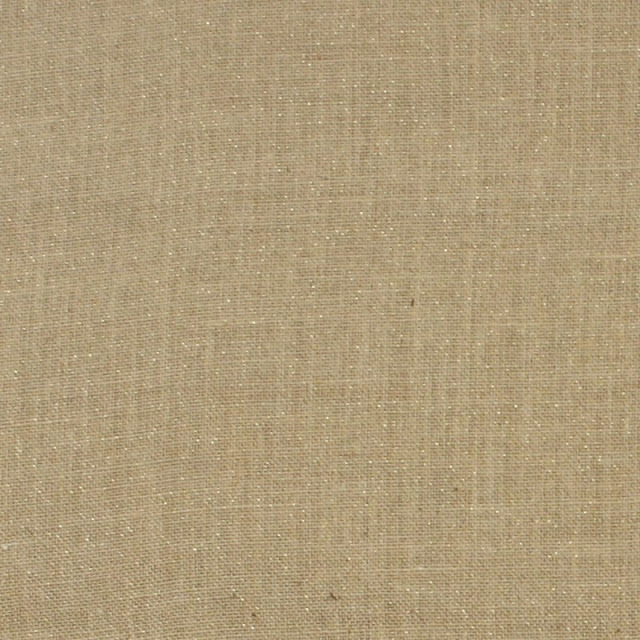 It is simple and elegant! 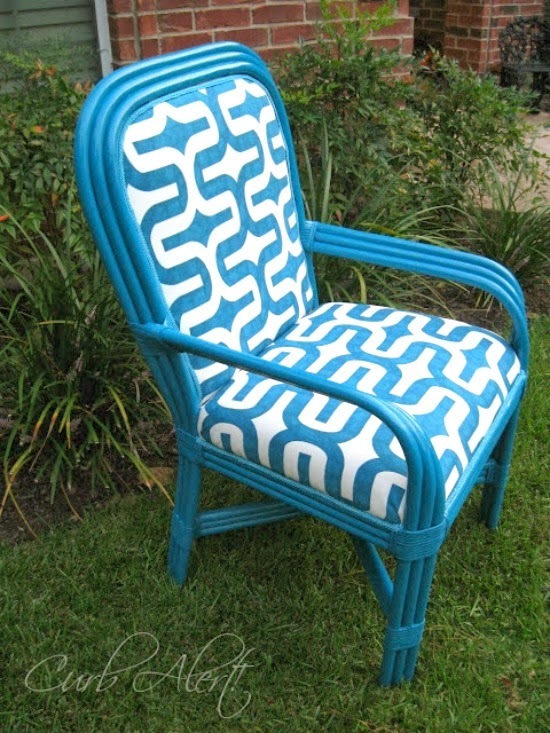 Tami from Curb Alert transformed an old wicker chair into a beautiful piece of furniture. Love the color! 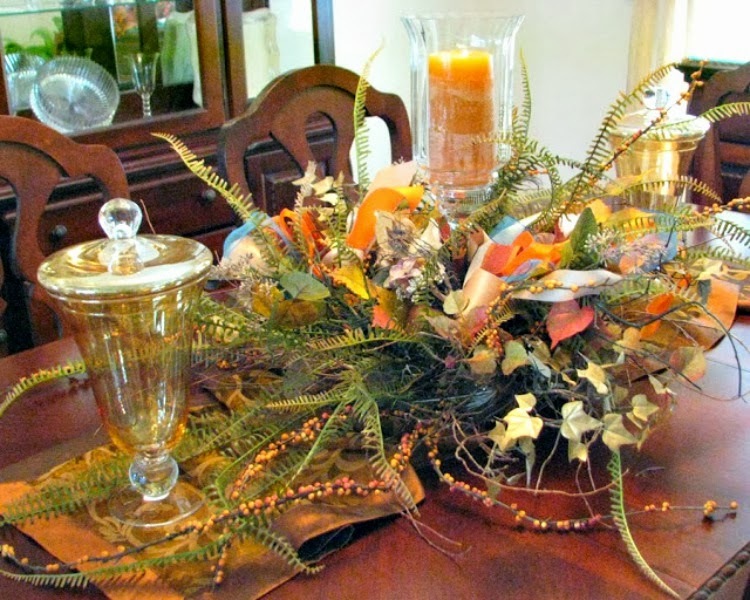 Judy from JBigg's Little Pieces made an amazing Fall centerpiece for her dinning room table. Just a quick reminder, my Anniversary giveaway ends today. The lucky winner will receive the following items. 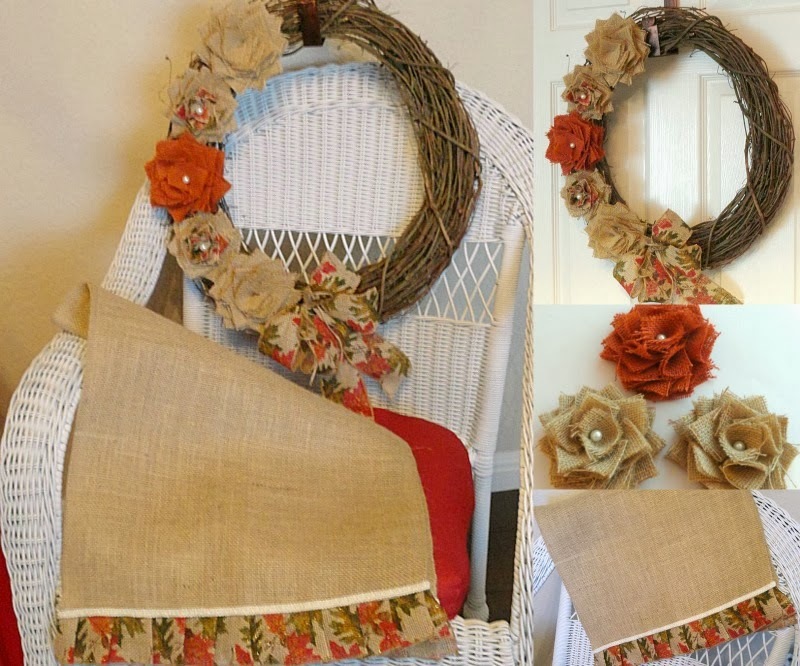 A Fall wreath, matching burlap runner and three burlap flowers. Four Fall decorative napkins that I made. I will be announcing the winner on Sunday, September 29th. and I have seen some of the neighbors stop on front of the house to look. 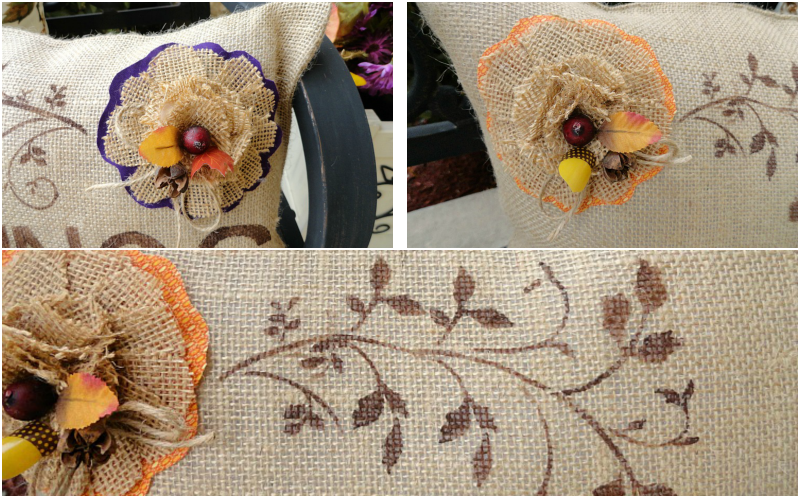 I took my time during the Summer months and started making burlap pillows for my bench. I decorated them with some fabric flowers and did a little stenciling. On the bench I also added a small throw and an old basket with some acorns I bought at Kirklands a few years back. And my old planter next to the bench. On the front door I used my old wreath, I just cleaned it up a little and decorated an old candle to put on the lantern. I decorated around the front door using some hay, a small runner I made to put over it and my old crate with pumpkins, pine cones, leaves and some fresh flowers. And I added some mums on the side of the walkway . Don't forget to stop by and enter my giveaway. I will be announcing the winner this coming Saturday.